Planar is a series of statements about space but not necessarily a straight sentence. Research for this project included architecture, geography and mathematics, more specifically a string of theories that propose non-linear perspectives and shifts in logic from absolute to relative truth. 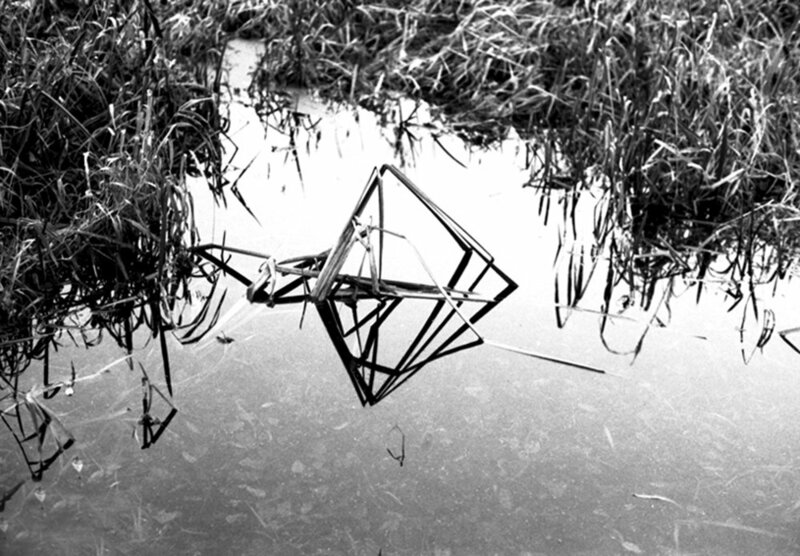 In Any Number of Dimensions consists of a series of prints and a site-specific installation of a reflective pool. These works were commissioned by Caelan Bristow for the Masonic Hall, Birr. There is not only one geometry but many different ones. The properties of basic shapes are different in each geometry – parallel lines do not meet in a plane but they do in a sphere, changing their behaviour again in hyperbolic spaces. The spaces we live in, understand and experience contain all these, as well as many other potential new relations across dimensions. 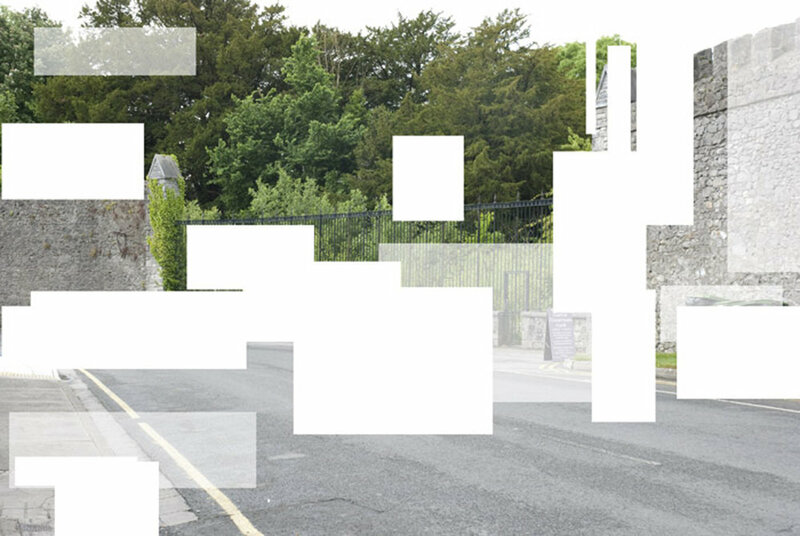 In the work for the Masonic Hall, Blanco explores suggested patterns and structures within the town of Birr, looking into the relationship of abstraction and geometry to landscape and perception. (x) explored, on the one hand, questions specific to the process of photography – framing, how light makes a photograph and how light itself works, what is lost and gained through digital manipulation. 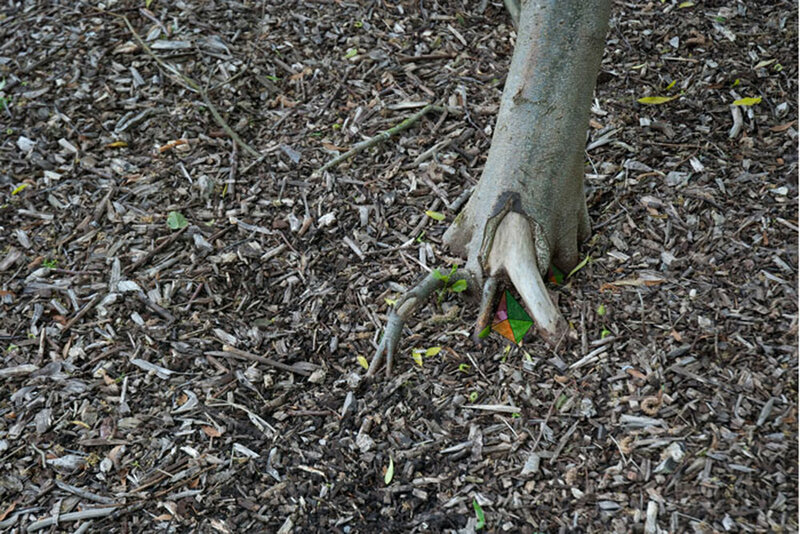 On the other, it explored the relationship the resulting photographic print, understood as an object, enters into with the three- dimensional space it inhabits. Different systems have different levels of reality. Photography abstracts reality into visual language, formal elements of that language such as light, line and colour are used to consider relations across media. Gallery Assistant, Ormston House Gallery, Patrick Street, Limerick. Co-organizer and curator, Art in The Making, Limerick. Curated and organized Life with Edits, a series of video screenings and talks, The Joinery, Dublin and The Guest House, Cork.